Technically speaking, that’s called an underexposed shot. It happens when not enough light falls on the film and is the opposite of an overexposed shot, which happens when too much light falls on the film. An overexposed shot turns out looking almost completely white. Happily, both problems can be easily avoided with the brightness setting on your instax Mini 8 or instax Mini 9. And you don’t have to worry about understanding photography terminology or how light works. To make sure your photos turn out great, you just need to take a look at your instax, which will tell you exactly what you need to do. 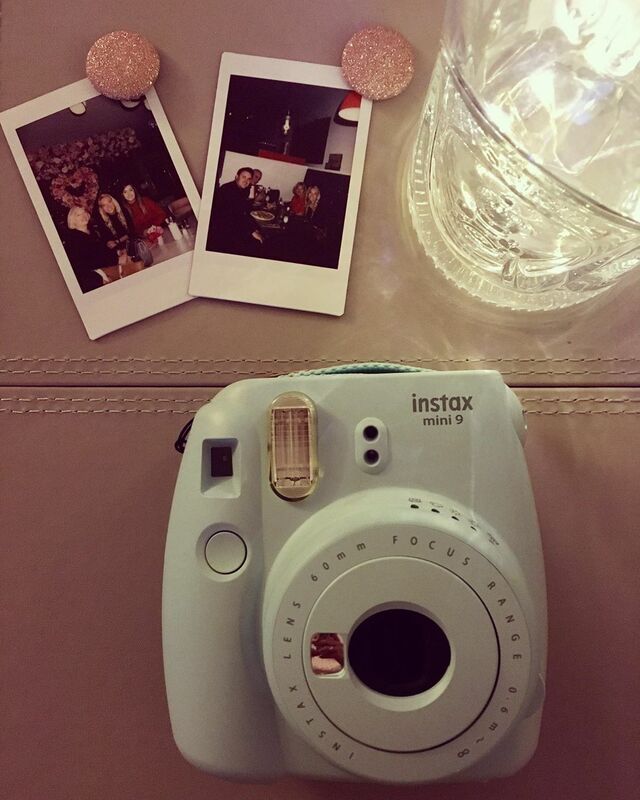 Go ahead and pick up your instax Mini. Now take a look at the lens. You will see four little icons—a house, a cloud a sun, and an even brighter sun. Next to those pictures, you’ll see a setting for “Hi-key,” which we’ll get to in a minute. To get the right exposure (or lighting) for your shot, all you need to do is see which of these icons has a red light under it—and then turn the dot on the lens to that position. Easy! You can actually stop reading right now and your photos will turn out great. But if you’re the kind of person who likes to understand how things work, here’s a more in-depth explanation of the settings available. • The home icon is for use either indoors or when it’s dark outside. This setting lets in the most amount of light. • The cloud icon is for when it’s overcast out. • The sunny setting is for when it’s more sunny than cloudy. • The very sunny setting is for those beautiful times when there’s nothing but sun, sun, sun. It lets in the least amount of light. Now for that mysterious “Hi-key” setting. Your instax will never automatically select this option, so you have to decide when to use it. It’s best for indoor photos or for shots taken at dusk or dawn outside. In general, it results in a photo with a softer impression. In technical terms, hi-key refers to a style of lighting that is very bright and homogenous, with very few shadows. Your photos will look a bit more whimsical and fun. Some people use this setting specifically for fashion or beauty shots because of how it brightens the skin. Now that’s we’ve got all the “rules” taken care of, remember that your instax is about experimenting, being creative and breaking the rules. Let’s say you’re on holiday in the Caribbean and the red light on your instax lights up under the “very sunny” setting. That’s going to allow your camera to take in less light, resulting in a photo that’s not overexposed. But maybe you want a photo that looks blindingly bright, so bright it’ll make your mates back home feel the heat and the sun when you show them the photo. Go for it! Turn your setting down a notch to “sunny” allowing your camera to let in more light. 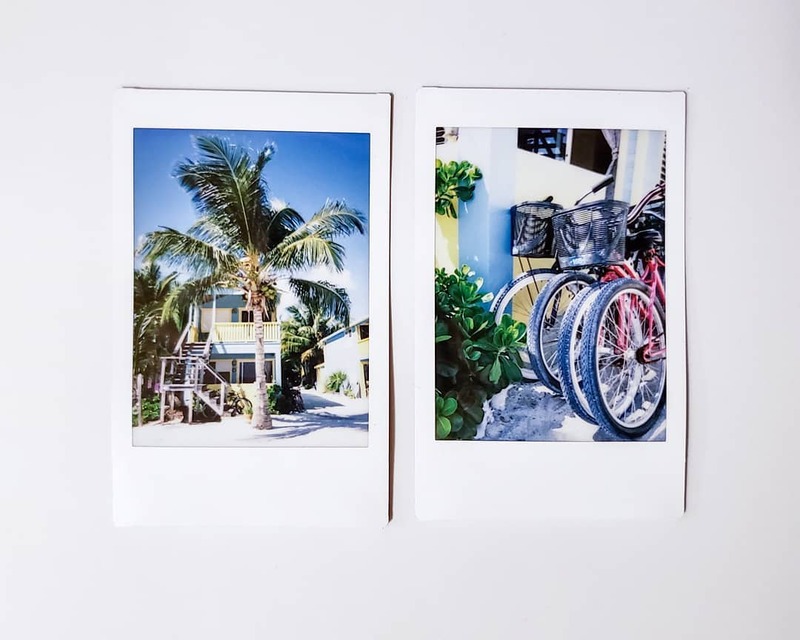 Your instax makes photography easy by suggesting the right setting, but you have the freedom to experiment, adjust and create a one-of-a-kind composition—and that’s what instax photography is all about. Check out our free guide, How to Take an Awesome Selfie with Your instax, and learn how to take your best selfie yet! We’ve got tips and tricks you'll want to know.